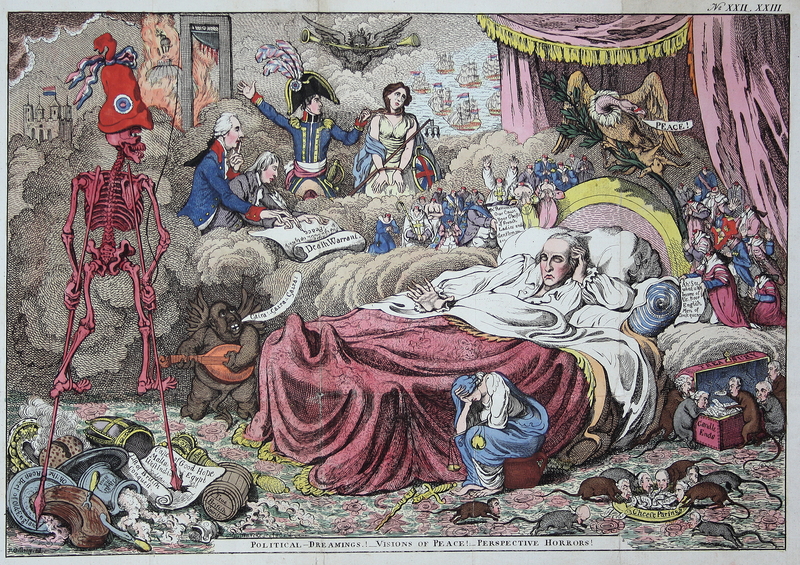 William Windham lies in bed dreaming. 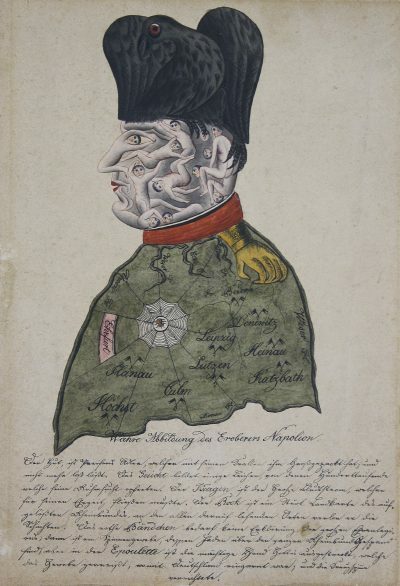 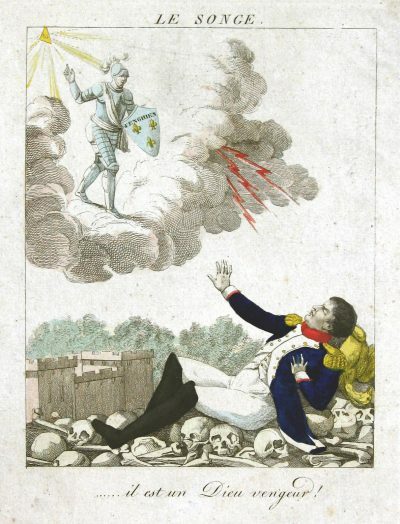 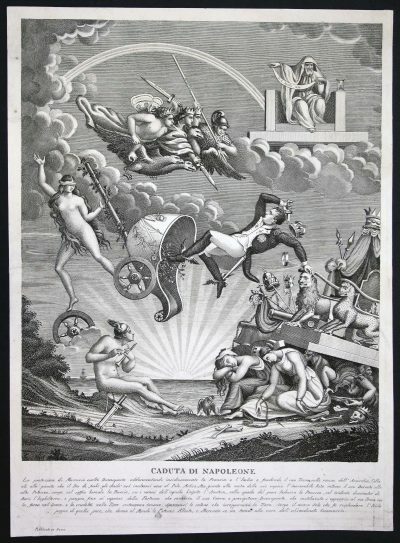 Amongst his visions are Death as a large skelleton, Napoleon strangling Britannia, a singing, fat demon, oppositional politicans as rats and many decapitated men and women including the Dauphin, Louis XVI, Marie Antoinette. 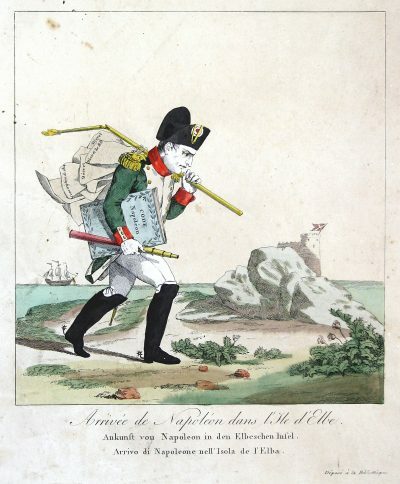 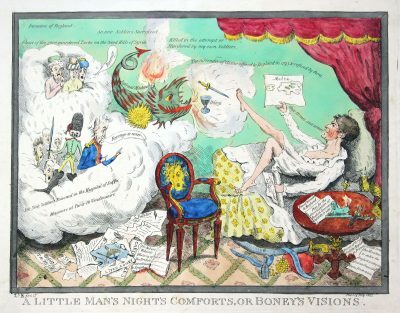 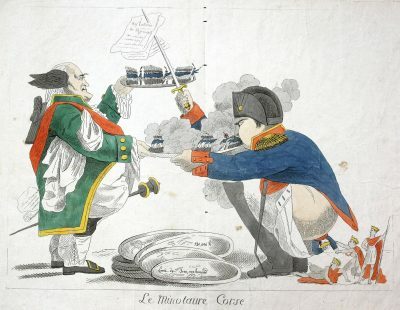 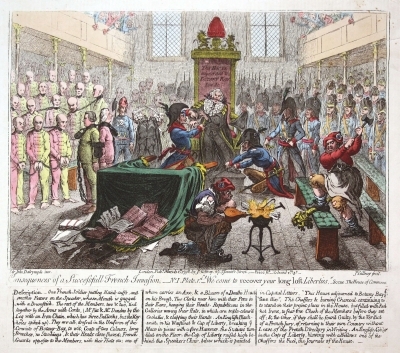 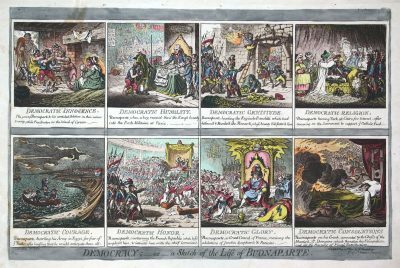 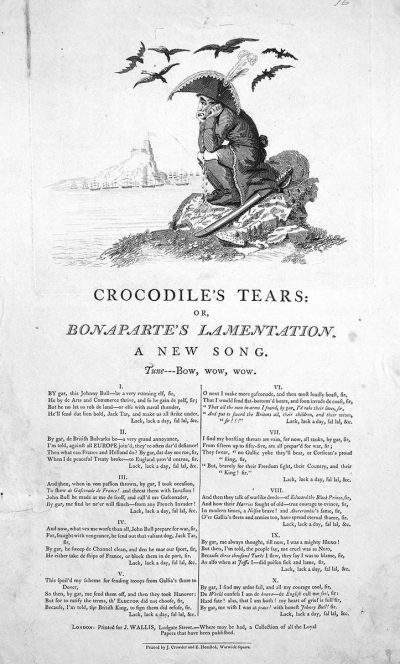 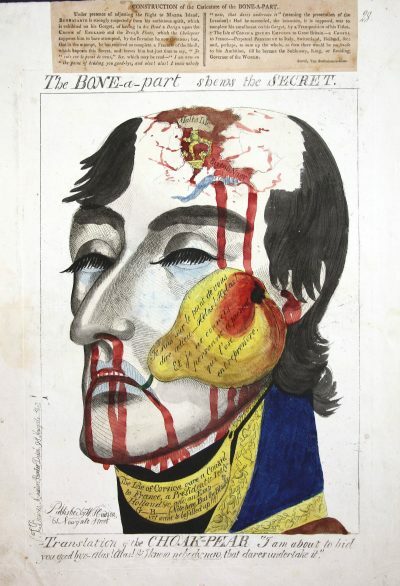 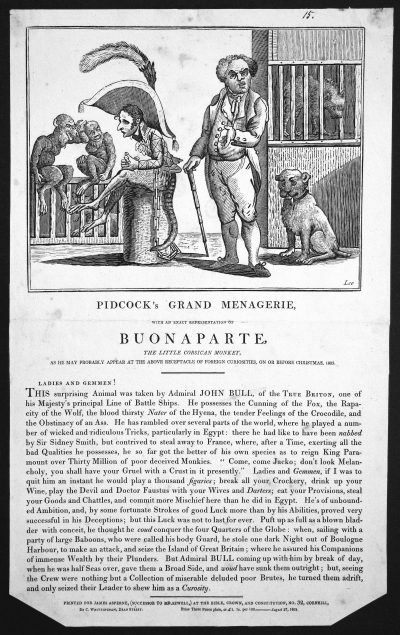 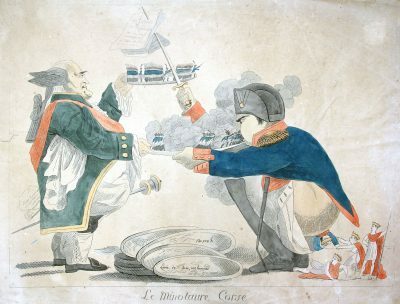 – This caricature is a reduced version of Gillray’s caricature published in 1801 by Hannah Humphrey.